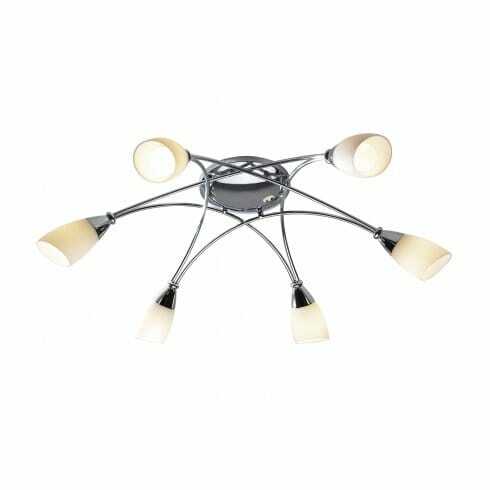 Dar Lighting Bureau 6 light ceiling fitting features a simple circular ceiling rose supporting a web-like semi-flush frame with pretty, tulip-shaped, white, opal glass shades. The modern look is complete with a stylish, shiny polished chrome finish. The product code for this Dar ceiling fitting is BUR0650.